The definition of Legacy is simply, ‘what you leave behind’. But the type of Legacy that you leave behind is dependent on the impact it has on those who receive it……financial security, reputation, freedom, relaxation. Whether it is actual landholdings, or the wealth that is created through sound investing, Real Estate is a Legacy that will have a substantial and positive impact for future generations. Financially, Texas is one of the leading states in the nation for positive real estate investing due to abundant job opportunities, favorable tax benefits, a positive business environment, and rapid population growth. Specifically in south central Texas, buyers are discovering an available concentration of landscape beauty and recreational activities unlike anywhere else in the country. 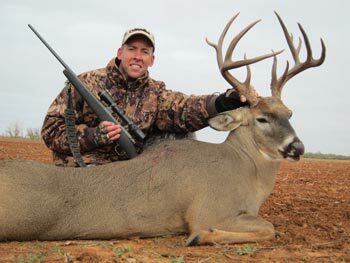 Imagine this…..Gazing upon a fiery sunset from a rugged West Texas mountain top with your spouse; laughing as a grandchild fights his first perch in the crystal clear waters of a Hill Country river; or glassing a ten point buck over the shoulder of your child in a Brush Country deer blind? There is no other investment with as many “fringe benefits” – memories that last a lifetime and will be passed down from one generation to the next. The folks at Legacy Ranch Real Estate understand the meaning of Legacy. We have heard the laughter of those children , seen the proud smiles of those parents, and listened to the words of wisdom from those grandparents. We know what it is like to take that first step onto a piece of property that has been dreamed about for a lifetime as well as that last step off of one that has been in the family for generations. Legacy Ranch Real Estate is dedicated to your connection with the land. We do real estate the RIGHT way- honestly, fairly, and ALWAYS with your best interest at heart. Throughout central and south Texas, if you are interested in buying, selling, or investing in truly the most precious resource available, allow our experts to lead the way.